Sarah is currently working as a Senior Creative at Bartle Bogle Hegarty in London. Preceding this, she worked for McCann Healthcare Worldwide. 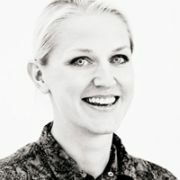 As a Copywriter based in London, she created compelling concepts and copy using insightful brand truths that were connecting both rationally and emotionally. Her project range is wide – including consumer, pharma, campaign and tactical – covering critical topics such as disease awareness and global health initiatives. She was also helping drive the launch of a UK hub of IPG’s Women’s Leadership Network. Prior to joining McCann Healthcare, Sarah worked as Château Guardian and Creative Writer at the Château de L’Angotière in Normandy. Preceding this, she held Creative / Copywriting positions as at Work Communications – a full-service employer branding agency – and Saatchi & Saatchi Healthcare in London.